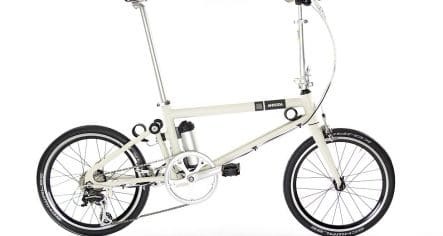 Ahooga lightweight folding e-Bikes are now available from Greenaer in Dublin and Mullingar. The multi-award winning Ahooga Hybrid Bike is the world’s first electric-yet-hyper-lightweight, folding-yet-highly-efficient bike. Folding, thus intermodal. For better cities, better lives. This unique combination of features is punctuated with a hinge-free stiff and durable frame, a sleek and elegant design, plus an availability in 215 colours. Unlike most e-bikes, when the assistance is off, it remains a lightweight hybrid bicycle, easy and fun to ride, making the autonomy range a stretchable parameter. The Ahooga is a proven product, praised by critics. It has already been delivered to hundreds of happy riders.